Math Monday: What to Make From Drinking Straws? If you want to quickly assemble many rigid lines in space, it’s hard to beat the per-unit price of drinking straws. At the World Maker Faire, artists Tae Hwang and M.R. 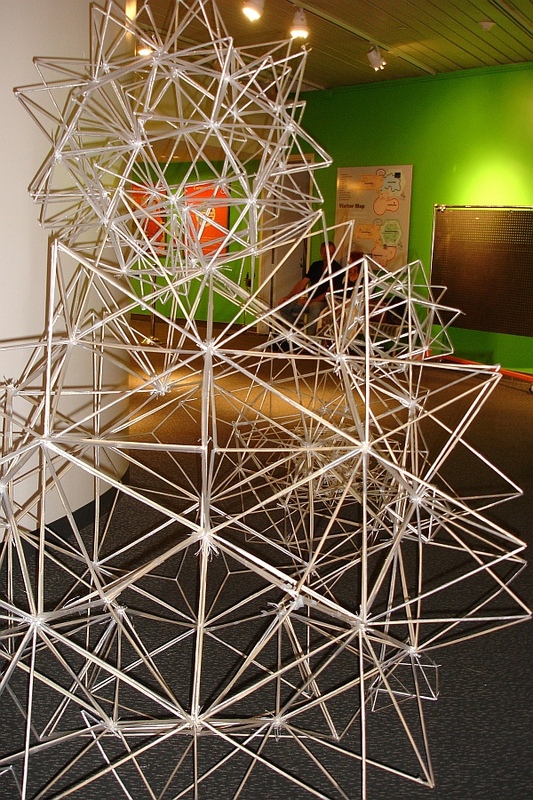 Barnadas (Magpie) made star-like constructions by stringing twine through plastic straws. These large, light units are all based on equilateral triangles, and each has a bumpy “skin” of tetrahedra all around them. Other views of their project are available here. For another technique, the straws can be cut to assorted lengths, and segments of pipe cleaners can be inserted in their ends, serving as connectors. 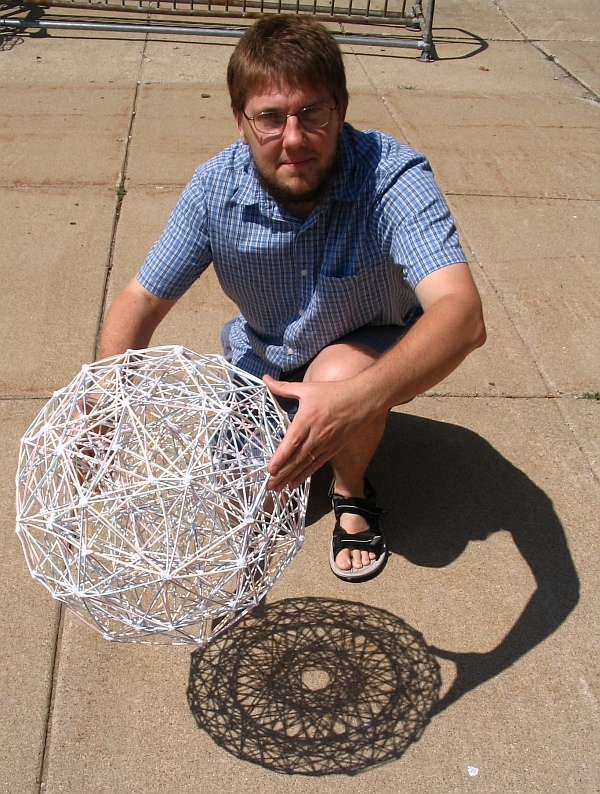 In the image below, David Richter is holding a straw model he made of the 600-cell, which is one of the regular polytopes in four dimensions. The accuracy of his work is apparent in the beautiful 30-fold symmetry of the shadow, which David explains here. This article first appeared on Make: Online, October 18, 2010.